Winterset’s City Park Campground includes 34 sites with 50/30/15 amp electric service, water, sewer hook-ups, fire rings, picnic tables, a shower/restroom building, and 12 primitive tent sites. Sites are available on a first come – first serve basis unless reserved. For complete information about registration, fees and location, see the City Park Campground page on the City of Winterset’s website or contact Winterset Parks & Recreation Department at 515.462.3258. There is also camping available at two Madison County parks: Pammel Park and Criss Cove. Pammel Park has two yurt cabins for rent in addition to camping sites. 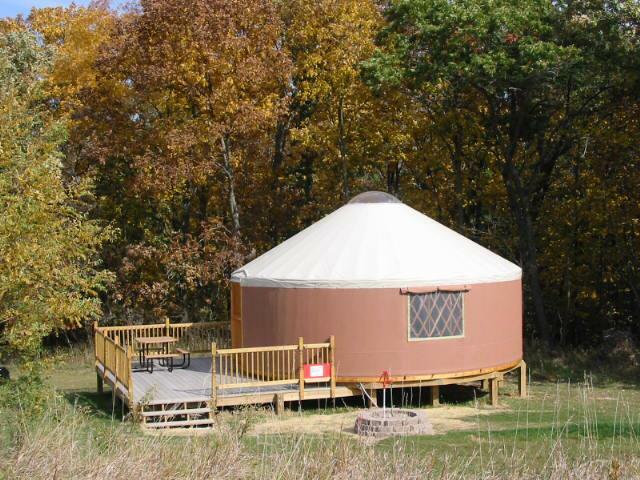 For complete information about registration, fees and locations, see the Camping and Yurt Cabins page of the Madison County Parks website or contact the Madison County Conservation Board at 515.462.3536.